On Wednesday 22 November, Philip Hammond will announce the Autumn Budget. He faces a growing chorus from across the political spectrum demanding a serious change of direction in funding for health and social care. On 4 March 250,000 joined the #ourNHS demonstration – the biggest march ever in defence of the NHS. Two months later, the Government’s betrayal of health and social care contributed to its humiliating setback in the 8 June General Election. Before and since, the line up of voices demanding the Conservative Government change course has become impressive. At the 19 August #TalkNHS conference, Health Select Committee chair Sarah Wollaston called for a major increase in funding for health and social care to 12% of GDP. 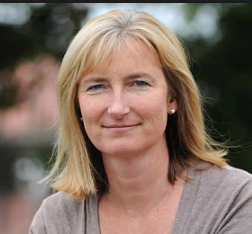 Dr Wollaston, who is Conservative MP for Totnes as well as chairing the Select Committee, has previously directly confronted Government false claims on NHS funding. In October 2016 she and Simon Stevens publicly stated that Teresa May’s assertion that the NHS has been adequately funded was untrue. 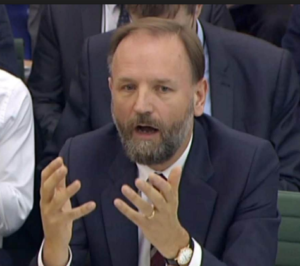 Simon Stevens, the head of NHS England, used a speech at the NHS Providers conference in Birmingham to warn that failure to increase NHS funding would add at least one million people to NHS waiting lists by 2021 (currently close to 4 million). “The NHS wasn’t on the ballot paper, but it was on the battle bus. 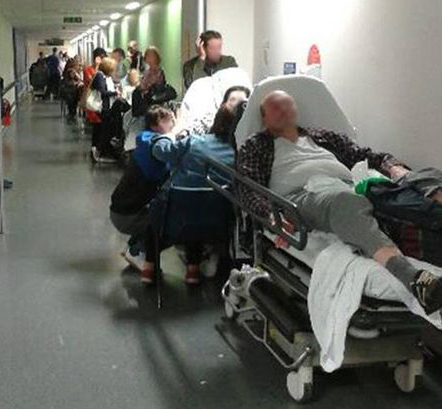 ‘Vote Leave for a better funded health service – £350m a week’ “. “Nuffield Trust, the Health Foundation and The King’s Fund are urging the government to address the critical state of health and social care in its forthcoming Autumn Budget. [This] briefing calls on the government to recognise the immediate funding pressures facing the sector in 2018/19, which will see NHS funding growth fall to its lowest level in this parliament. The government must also act to close the growing funding gaps facing the health and care system, which are now having a clear impact on access to care. NHS Providers is the membership organisation and trade association for the NHS hospital, mental health, community and ambulance services that treat patients and service users in the NHS. Read articles in full: A budget to help the NHS recover key performance standards for patients and Failure to boost funding will have consequences for patients [both 8 November]. Back in March 2017 the NHS Confederation (umbrella organisation for NHS commissioners, planners and providers) called on the Government to admit funding was too low to sustain NHS services. They have coordinated a letter to be sent to the treasury ahead of the Autumn budget on the 22nd November 2017 (see Desperate plea for additional funds to tackle the growing crisis in health and care services). The signatories represent professionals, commissioners, providers and recipients of health and social care services. Read the letter here. Join us outside parliament on Wednesday 22nd November to call attention to the underfunding of the NHS and to demand that the Government stop lying to the public and instead allocate adequate funds for the NHS and Social Care. The evening before Budget Day, we will be demanding that Hammond listens to the unprecedented unity of calls to fund the NHS properly. If he turns away, he and his government are culpable for thousands of avoidable deaths and incalculable stress for the 1.3 million NHS employees working under intolerable strain. We hope that many NHS campaigners will join us to demand this Government properly fund our NHS. The Guardian 8 November – ‘Brexiters must honour extra cash pledge for NHS, says health chief’ – lists some of the people and organisations that have criticised Hammond and May for NHS underfunding and called for a commitment to adequate funding. Go to our Campaigns page and Fund Our NHS Now! This country is in dire straights, money is being spent on what the government want and not what the subjects of this country want. We have to remind these individuals they work for us, not so they can buy and furnish second homes in London.